Your unit at Avalon Resort has a full kitchen with microwave, air-conditioning and a television. Laundry facilities are located on-site for your convenience. Towel exchange service is provided once at mid-week. Studio Units OCC: Max 2/Pri 2 have 1 bath, 1 sofa (not a sleeper sofa) and 1 queen bed. 1BR units OCC: Max 4/Pri 4 have 1 or 2 baths, a king bed & a queen sleep sofa. The resort cannot accommodate requests for larger units. 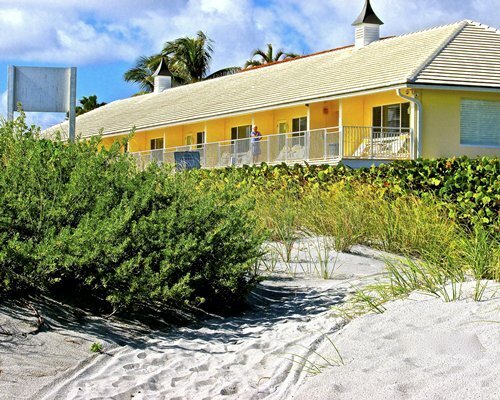 Cots and cribs are available for a fee, but please notify the resort in-advance to reserve them. There is a $35 charge for any room keys not returned. ** YOU MAY NOT EXCEED THE MAXIMUM OCCUPANCY OF THE UNIT AS STATED ON YOUR CONFIRMATION INCLUDING INFANTS! Guests of RCI members must have an RCI Guest Certificate in order to check-in. NO PETS ARE ALLOWED. 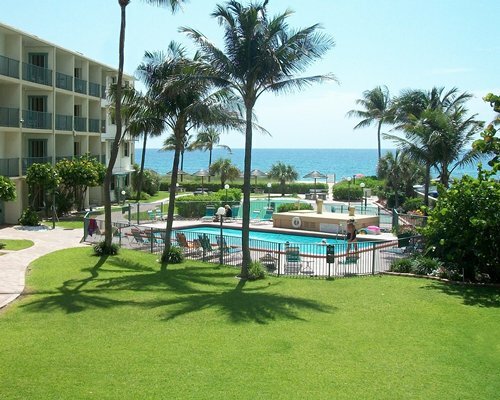 Deerfield Beach, home of Avalon, is less crowded than most resort areas-perfect for relaxation. Its beaches offer swimming, fishing, snorkeling, sailing, and parasailing-all nearby. 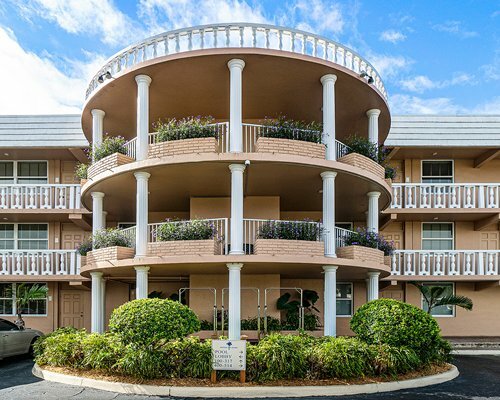 At the resort, you'll enjoy the outdoor pool, miniature golf course, and shuffleboard court. 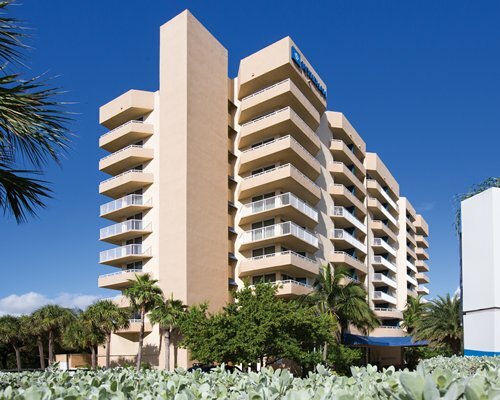 Boca Raton, Fort Lauderdale, and the Everglades are just a short drive away. You'll find Walt Disney World(R), Busch Gardens, Sea World, and the Kennedy Space Center all within a three- to four-hour drive away. Outdoor pool will be closed from September 12, 2016 to September 17, 2016.